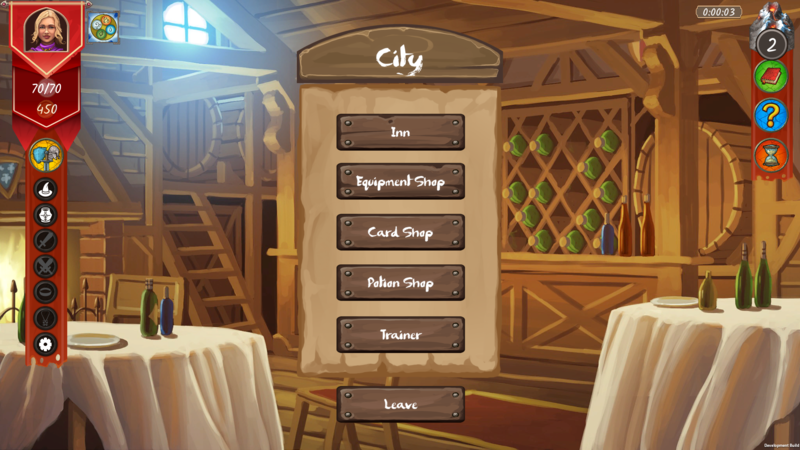 An RPG deck building game with roguelike elements. The dead arise and only you can stand against them. Travel the lands to slay monsters, acquire new cards, survive harrowing encounters and claim powerful equipment to enhance your deck. 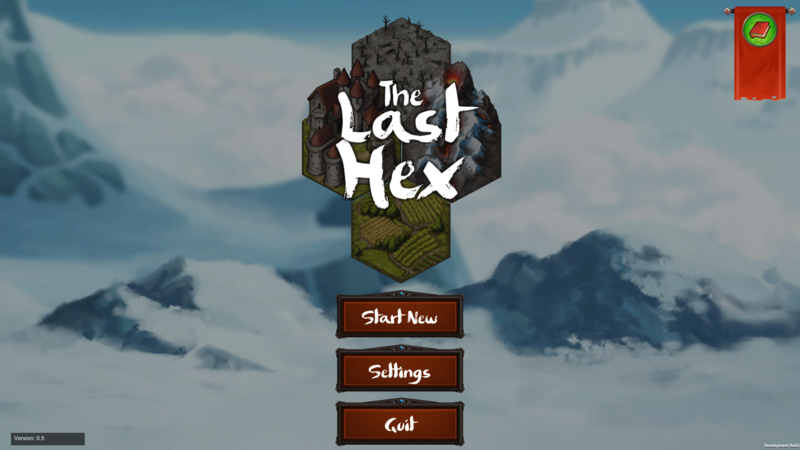 A final showdown with The Lost awaits you at...The Last Hex! 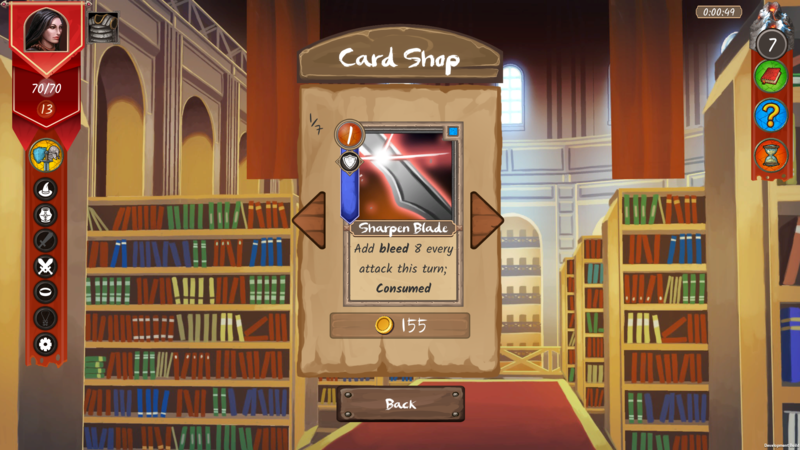 Players will be able to obtain hundreds of different cards to add to their arsenal. 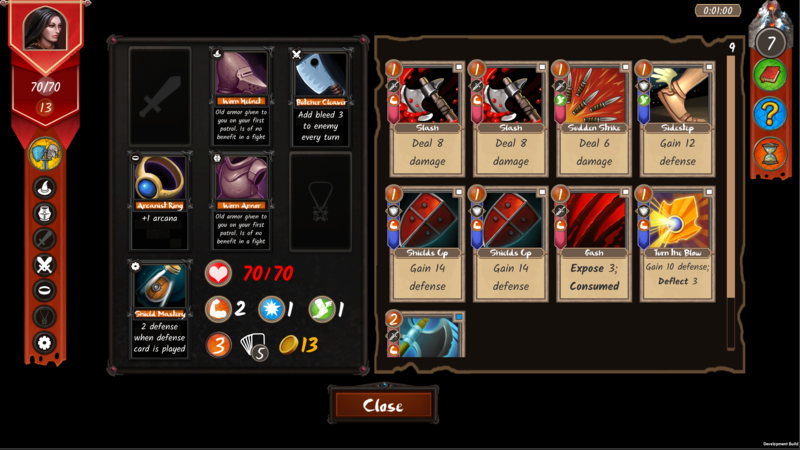 Each card different than the next, with each card being affected by different stats and each with their own effect. Equipment cards will help players boost their stats and give them various special effects to help them out during battles. Players will have the chance to pick a class to start their journey with. 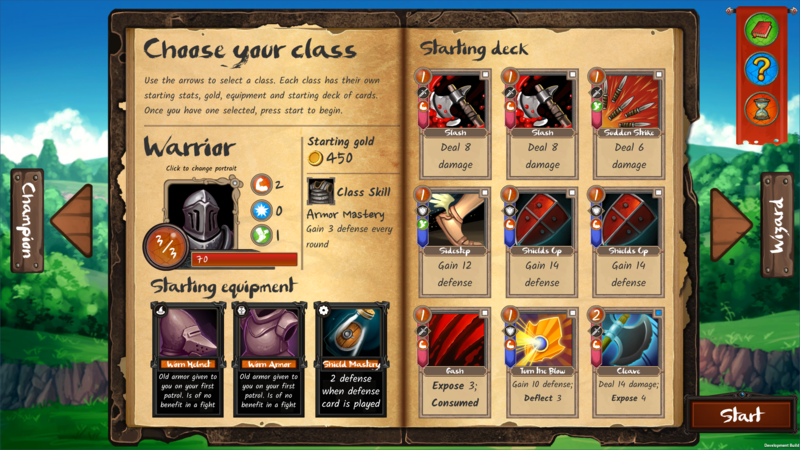 Each class has their own stats their own starting deck and their own starting play style. 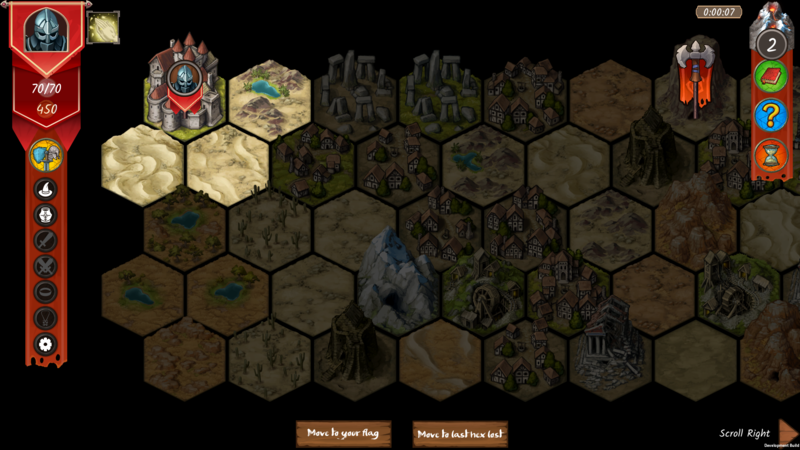 Every time you play a game you will be casted into a new world with new terrain, new events and cities. With each city having their own unique stores, each event possibly playing out differently than the last. And the Lost taking different paths to engulf your world. The cards in your deck are affected by your stats. Each card has its own formula which uses your stats to determine how powerful the effect is. To raise your stats you must equip yourself with items and you will also have chances to gain stats via events. Some cards are stronger at the start of a run but fall off in effect later on, while others grow exponentially through your run. How will you build your deck? 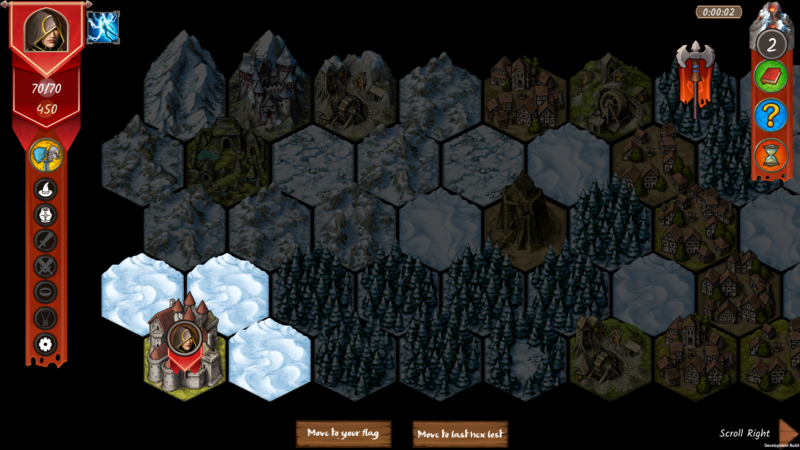 Every time a new run is started a random map is procedurally generated, containing random terrain types, enemy camps, random events and cities with their own exhaustible shops. 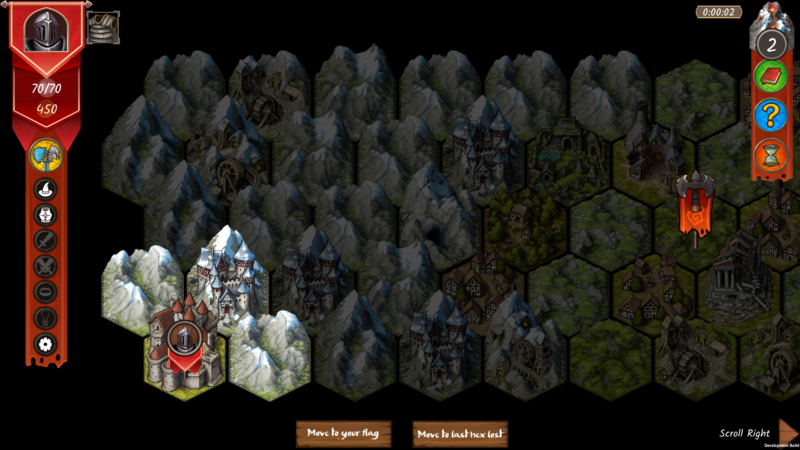 Monsters will level as you progress through the map. However, as you explor, The Lost will slowly take over the map destroying cities and events in its wake. Exploration makes you stronger, but as the dead spreads it serves to empower your foe. What path will you take to destroy The Lost? 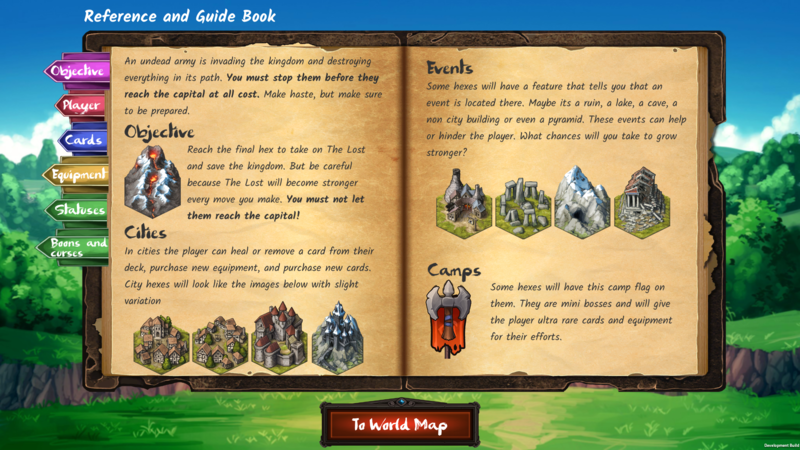 We want to give players the best chance of survival, so we gave them access to quite a bit of information. Including: Each unique monster has a set custom deck. Learn what effects and cards a monster has to figure out the best strategy to defeat them. Players can see the entire map from the start. See all terrain types, all cities and even all the events to optimize your route to ensure your success. Each event presents a series of choices, each with set outcomes. Learn when certain choices make sense, and when they should be avoided through experience. A codex of all the items, events and cards you have come across. If you are interested or have any questions please do not hesitate to contact us. We love to hear from people. Also please join us on our discord to have instant access to the devs. We are That Indie Studio. A small game development studio based in Rochester, NY. 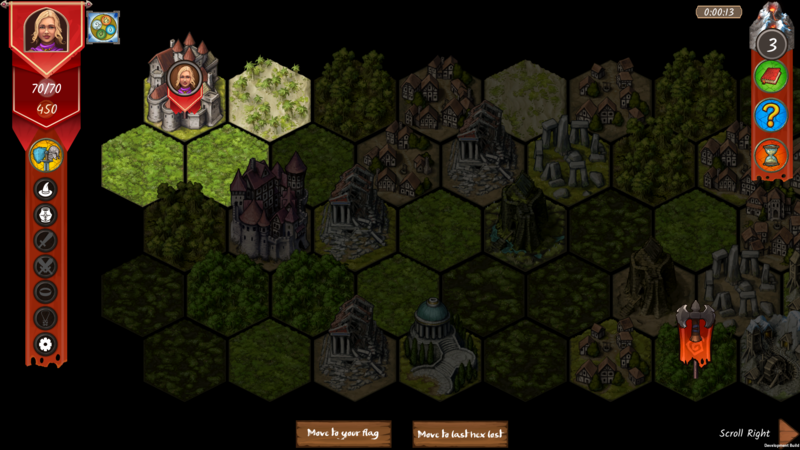 We are currently working on our first title, The Last Hex.